Land Rover and Range Rover vehicles are known for their luxury features and strong performance. However, they’re not recognized enough for their towing ability. If you’re planning to haul a boat out to a lake near Princeton, NJ, you’ll enjoy the power and stability that a Land Rover model provides. Explore the land rover towing capacity before visiting our showroom near West Windsor. 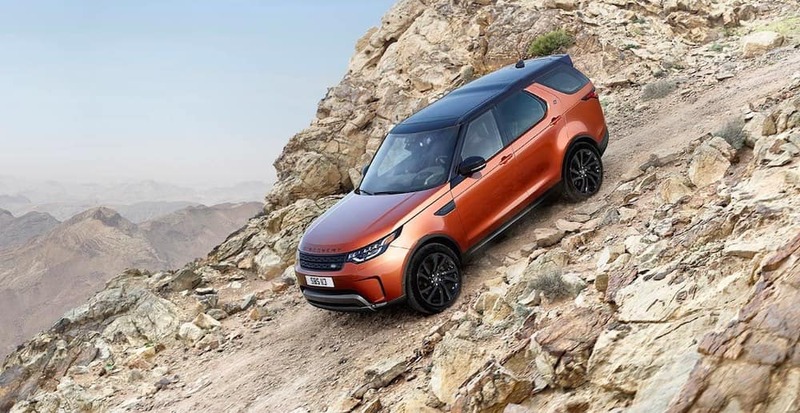 2019 Land Rover Discovery Towing Capacity – 8,201 lbs. 2019 Land Rover Discovery Sport Towing Capacity- 4,409 lbs. 2019 Range Rover Towing Capacity – 7,716 lbs. 2019 Range Rover Sport Towing Capacity – 7,716 lbs. 2019 Range Rover Evoque Towing Capacity – 3,968 lbs. 2019 Range Rover Velar Towing Capacity – 5,512 lbs. Advanced Tow Assist – This advanced feature lets you use a radial dial to steer the vehicle as its reversing to the trailer hitch. Backing up to a trailer might seem like a challenge, but Advanced Tow Assist makes it easy by taking care of the acceleration and providing more precise steering. Rear Height Adjust – Set the ideal vehicle height for your trailer directly from the controls mounted inside the vehicle. It’s just another way Land Rover makes towing easier. Trailer Stability Assist – While wind and tight corners can be difficult to navigate while towing, trailer stability assist controls many response points to allow you to tow safely. Whether you’re looking to find out how the Land Rover Discovery compares to the Audi A5 or learn about the Land Rover SVO program, Land Rover Princeton has you covered. Contact us with any questions about Land Rover towing or performance today!